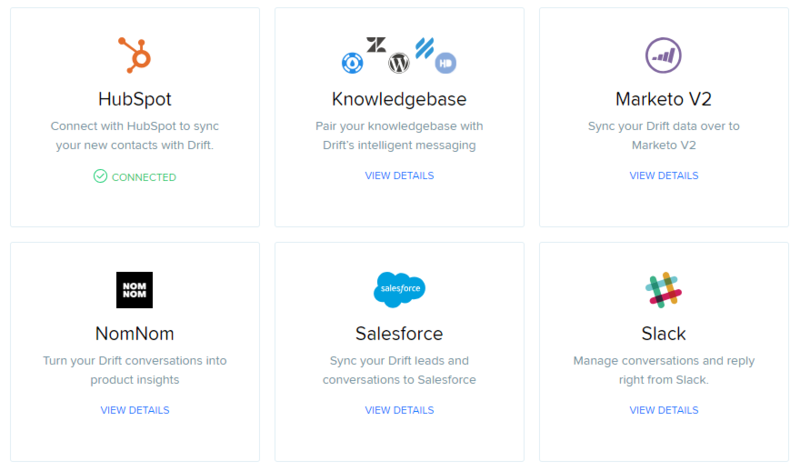 Ever since we’ve rolled out managed services for sales chat at CloudTask, I’ve wanted to gain an in-depth understanding into its scope and opportunities as a sales tool. I’ve been personally using it to gain new insights so I could share my learnings with our sales team, I could learn something from them in return, and we can ensure we are using the tool to its maximum capacity. The value of sales chat lies in the fact that it gives you the opportunity to convert any web visitor into a lead, and then into a customer, by resolving a query or any other question they may have during the purchasing process. 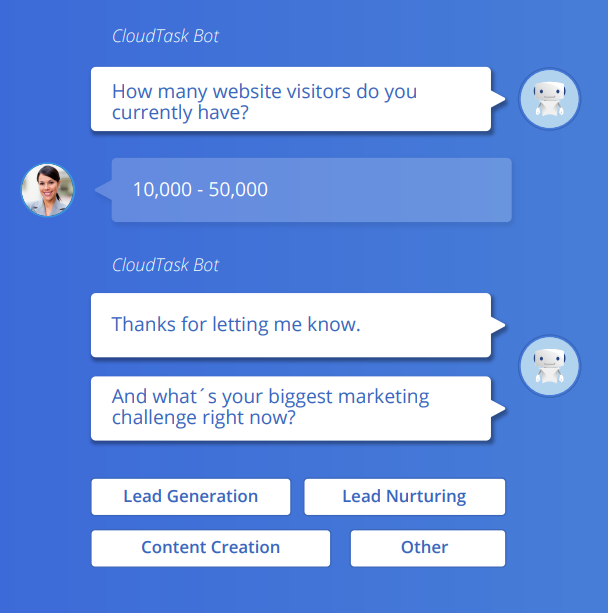 Instead of losing out on the chance to connect with those site visitors who might have otherwise left without interaction, proactive chat sends out an automated message to the user inviting them to chat. A really useful feature offered by many chat software providers is the ability to hone in on the exact webpage a visitor is viewing, as well as the location they are surfing from, enabling you to customize your messaging to website visitors, once you take over from the bot. So a user who may have stumbled upon your website by accident, can be viewed as a potential customer, and initiating a chat with them is the first step towards conversion. According to a study, 44% of customers said that interacting with a live chat agent during an online purchase was one of the most important features a company can offer. This is not surprising, given that being proactive about reaching out to web visitors means you can convert a customer, who otherwise may have bounced from your website and purchased from a competitor. This tactic has benefited companies to a great extent. Take the case of Ipswitch, who generated almost $1m in new opportunities in Q1 2018 alone. They did this by creating specific parameters on high intent pages, such as the pricing or product pages pages, where more details about a particular feature or pricing package were offered to web visitors who responded to the proactive chat. As best practice, you should have an automated message pop-up on pricing pages, in addition to full time sales chat agents proactively reaching out to visitors with customized messages. Being proactive about reaching out to prospects provides an opportunity to speak to them about their needs in personal way - a fantastic tool for lead nurturing! It’s relatively early days in the chatbot space, with companies only lately realizing the benefits of using bots to get their product or service in front of a larger audience. The particular attraction of a chatbot is its ability to hold a conversation with a real person - this injects an element of novelty in interactions (reminiscent of the originality of getting your questions answered by a virtual assistant like Siri). Chabots are also programmed to keep the conversation engaging and natural, by providing relevant and timely information to the user. Interestingly, I’ve found that prospects whom I’ve chased via calls or emails without any response, have gone to our site after clicking on a link in my email and then engaged with the bot. After the first day of implementing chatbots, we’d generated three qualified appointments. So how does it work? Well, it's pretty straightforward. All your website visitors need to do is click on a bot if they need to find out more information or resolve a query. The chatbot then responds and gets to understand their pain points and tries to provide real-time assistance in an interactive manner. This results in a positive and engaging user experience where they are more willing to part with details of their background and interest. The bots can qualify new leads and then pass them on to sales chat agents who will offer relevant information about a product or feature. This will push the lead towards a purchase or will set up an appointment with a product specialist if they are not quite at the decision stage. The great thing about chatbots is their 24/7 availability. They can initiate a conversation across countries and time zones, making prospects feel that there is somebody around all the time. This is a must-have, especially if your target audience lives around the world, and expects quick responses and attention. Of course, if you have a lot of traffic, it is better to have 24/7 sales chat representatives if you have the human and financial resources to do so, but if not, chatbots can qualify and generate leads even when your human team is asleep. Typically, prospects spend more time in the ‘consideration’ stage for B2B sales, when they actively compare pros and cons, and take their time to decide whether or not to take ‘the plunge’ with your product or service. And this can be quite a long-winded process, as much more time and effort is spent on educating and convincing the prospect to convert. It can include multiple exchanges and conversations through phone calls, email, video conferences, LinkedIn messages or in-person meetings. Traditional content has its limitations in terms of conversion, because it is not interactive and you can’t predict every single question a prospect may ask. With sales chat, I’ve noticed that the sales funnel is greatly shortened because you can set up calls with people as you are chatting with them, alongside clarifying any issues or sharing any content they want. Last week, I opened up a six figure sum in our pipeline just 15 minutes after interacting with a prospect and setting up an instant call via our chatbot. You can use sales chat to thus keep your prospect’s attention, allowing you to cater directly to their needs on-the-spot without the traditional, long-winded interactions. Result? Lower drop-off and bounce rates, and quick conversions! If you have returning visitors for example, you can refer back to your previous chats with them, learn more about their background, and check any previous interactions they’ve had with your brand. Data about your contacts and chat history will clearly be displayed in the chat window if you’ve integrated your live chat software with your CRM (and of course, if your live chat software offers this particular functionality). This greatly helps in supporting and providing timely answers to returning or existing customers. It certainly helps if you are trying to flesh out your buyer persona. Analysing your chat conversations can reveal crucial insights and details about your target audience’s needs and pain points. Your CRM will be able to integrate information such as the name, email address and social media profiles, so all your sales agent needs to do is quickly do a background check before they begin to chat with the prospect or lead. The higher the level of personalization, the more receptive your user will be. Most sales chat software tracks browsing details including location, devices and operating systems . You can use this to build trust with a prospect by including it as a point of conversation or making a reference to it while chatting. For example, I built rapport with the first-ever lead I generated by referring to a holiday I had in Boulder, Colorado when I saw that he was located there. Similarly, chat analytics of the user’s journey on your website such as specific webpages, sessions and duration of web visits, can uncover browsing patterns and buying behaviour. For instance, if you notice that a user is spending a long time on the About Us page of your website, you can have your sales chat agent reach out to ask if they’d like additional information about the company. Analyzing browsing data is a surefire way to increase understanding about a buyer’s background and preferences. This information can be cleverly used while interacting with prospects and go a long way in providing a customized response and personal experience. What I’ve discovered while using sales chat is that it can be used as a reliable channel to not only generate a large number of qualified leads, but also to increase conversions. In addition to being a fantastic customer service channel to educate and build rapport with your leads, it can also serve as the primary source to educate your prospect by reaching out to them in real-time while they are browsing your website. Finally, unlike the traditional lead generation tactics such as landing page forms, which promises content in exchange for contact information, sales chat keeps the prospect at the centre, and caters to their needs or queries, before anything else. There is great value in this sort of relationship-building, because you are left with a qualified lead who is genuinely interested in your product or service and is ready and willing to take the next step towards conversion.